Mama and I returned to a local playhouse tonight to see the second in a summer Shakespeare series. 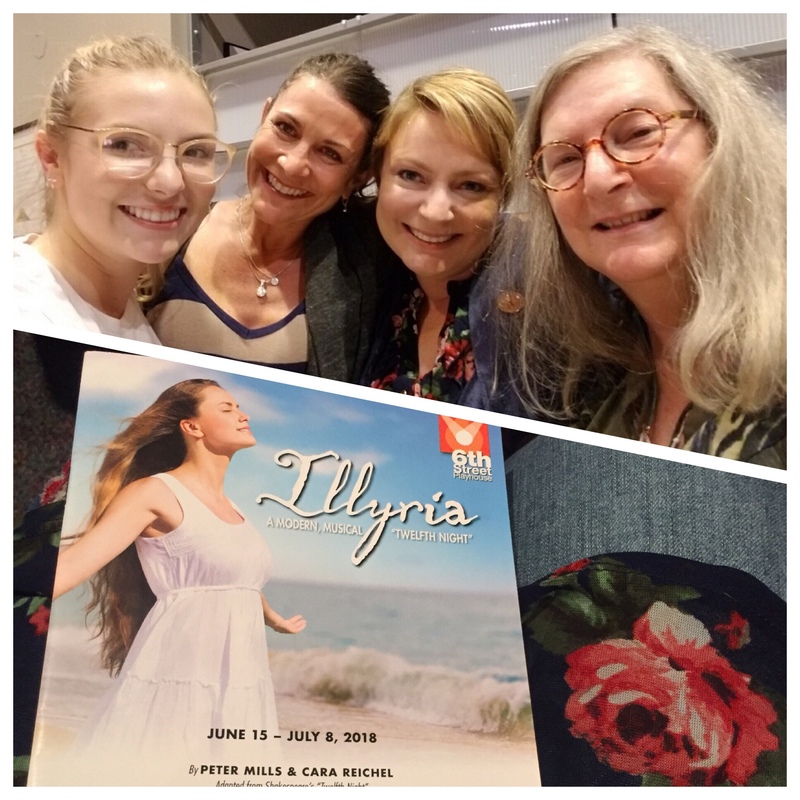 Tonight’s performance was “Illyria” — a modern, musical adaptation of Twelfth Night. We absolutely loved the show! Clever lyrics and expressive actors kept us laughing from start to finish. My favorite bit was the song about ale and cake. I feel like I’ll be singing that around the house. During intermission, we had the most kismet meeting of like-minded mothers and daughters! Fawn and MacKenzie were delightful, and we learned we have loads in common. Now we’re looking forward to baking and crafting together! Today’s #OneGoodThing was making new friends at a fantastic show with Mama! Day 188 of 365. And Day 919 in a row (here’s the first 366 & the following 365)!